ICA is the only worldwide body specifically established to advance the global colored gemstone industry. Founded in 1984, the nonprofit organization has an active membership of more than 700 gem industry leaders from 47 countries. They include gem miners, manufacturers, wholesalers, suppliers, retailers, trade associations, gemological labs, academia, and museums, all devoted to promoting the knowledge, trade, and appreciation of colored gemstones. 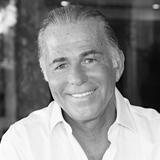 Its 31 founding members wanted to ensure an organized and focused response to the changing gemstone business, address industry challenges, and improve communication and understanding within the trade. To that end, the associations’ international network actively works to develop a common marketing language for promotion as well as consistent business standards necessary to improve international communication and trade of colored gemstones. Among its promotional activities, ICA held mine tours, a poster competition, and takes part in some of the largest and most important trade shows. At trade shows, ICA hosts networking events in its ICA Pavilion, provides information on gemstones, and most importantly, provides members with a place to exhibit at large international trade fairs. Over the years, ICA has provided direct access to the source for colored gemstones and related information. 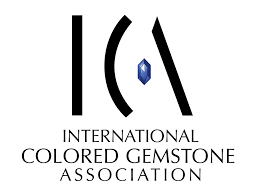 There is no other international organization with the same collective access to, and knowledge about, all levels of the colored gemstone industry. Another activity is the Gemstone Industry & Laboratory Conference (GILC). Established some 20 years ago, the annual conference provides a venue for members of the industry to discuss pressing gemstone issues that impact gem stone trading, such as ethical practices, nomenclature, consumer confidence, terminology, and accurate use of laboratories for grading. The event is by invitation only and brings together professionals from across the industry supply chain, from miners to lapidaries, and jewelry designers specializing in gem-set jewelry. Another venue is InColor, a quarterly magazine about colored gemstones aimed at jewelry manufacturers and retailers. It reports on the gemstone trade, mining, gemology, education, trends, fashion as well as ICA member-related issues. About once a year, the magazine includes a World Gemstone Mining Report. Other special reports and publications include a gemological laboratory services world directory and a special ICA Congress issue.